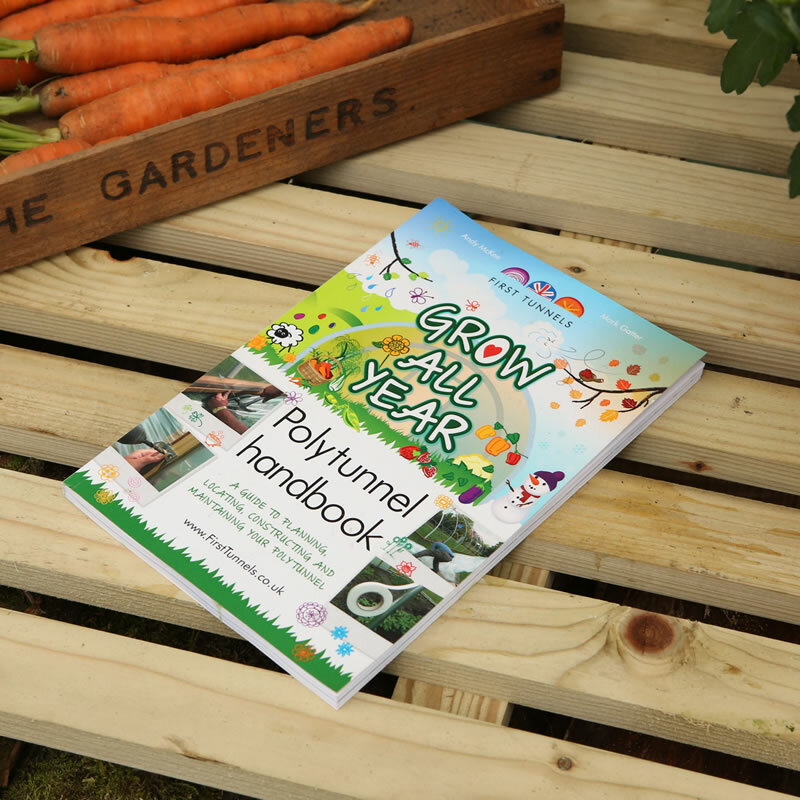 This book looks at all aspects of polytunnel use from planning your purchase to harvesting the rewards, and includes a step-by-step guide detailing how polytunnels are put up and maintained. For the DIY enthusiast there is a full set of instructions for building a polytunnel from scratch, and the authors explain how to keep your polytunnel productive in every season. 160 page softback. This book and How to Grow Food in Your Polytunnel are provided FREE in our Growing Pack with all Domestic and Commercial Polytunnels ordered from ourselves. All polytunnel accessories will be despatched within 1-3 working days. Should you have any query regarding delivery, please contact us on 01282 601253. This product qualifies for reduced postage on a maximum of two books, if your order exceeds two books, and is less than £50, shipping costs will be £4.95. For orders above £50.00, delivery is FREE. This applies to customers in the Blue and Red area. For customers in the Orange ares, the delivery charge will be £30 irrespective of your order value, for small orders please call us on 01282 601253. * Please note, customers in the Green areas including France should call us on 01282 601253 for delivery costs.